What is the origin of the word iver עיוור - "blind"? The BDB connects iver with or עור - skin, "whence blindness as cataract", or as here "through the idea of a film over the eyes". Aram. עויר, Syr. עויר (=blind), עור (= he blinded), Arab. 'awira (=was one-eyed), Ethiop. 'ora (= was blind), 'ewur (= blind), Akka. turtu (=blindness). 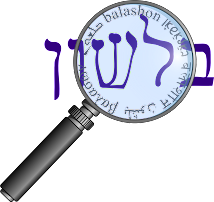 Hebrew עור, “blind,” is from the same Semitic root as Arabic awar, “one-eyed,” hence “damaged.” The Arabic word is the source, via French, of the English word average, which originally referred to the tariff that had to be paid on imported goods, taking into the account the average fraction of goods that would be expected to be damaged.